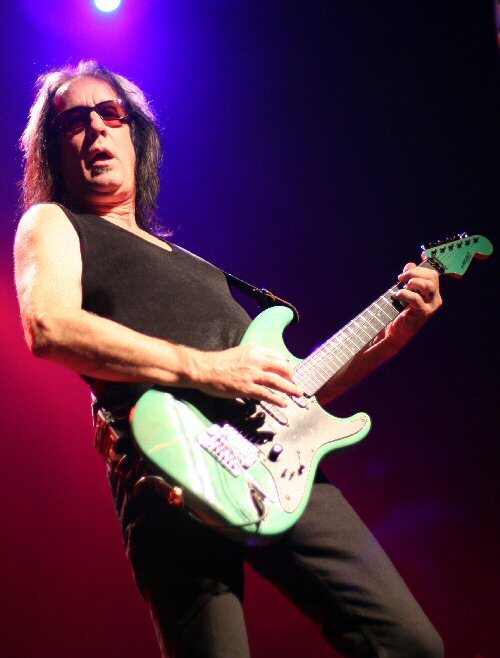 "Me for President," Todd Rundgren suggested to the audience after dialoging about the current woeful economic crisis during his show on October 09, 2008 in Morristown, New Jersey at the revamped Mayo Arts Center. Of the stock market he remarked, "let it go to zero, money problems gone, economy all better." Todd Rundgren onstage in Morristown, New Jersey. "Actually things aren't all better and we need to defend ourselves from those who might want to take advantages of us, my fellow prisoners," Rundgren continued before playing a vitriolic version of Red Rider's Lunatic Fringe, kicking off the song with the demonstrative call, "and here's how we do it." Rundgren and his five piece band were doing it in historic Morristown - the north Jersey metropolis that has been called the "military capital of the American Revolution" because of its strategic role in the war for independence from Great Britain. And while Rundgren was in a feisty mood his real agenda was to promote his 20th solo album Arena which Todd (guitar/lead vocals) and his band (Jesse Gress - guitar; Rachel Haden - bass; Kasim Sulton - guitar/keys; and, Prairie Prince - drums) played in full during the concert. Jesse Gress is a perfect fit in Rundgren's two guitar attack. Before moving into the new material, Todd kicked off the show with an energized "Love in Action" and a solid "Walls Came Down", complete with stacked vocals, sturdy rhythms and sizzling guitars with Kasim playing the third axe. Sultan would alternate throughout the night aptly handling both guitar and keys. At times the music was forceful and frenzied - very in your face but there were more subtle moments too with the classic "Open My Eyes" and "I Saw the Light", both well executed. The set list scanned Todd's diverse career but the focus was clearly the new album. 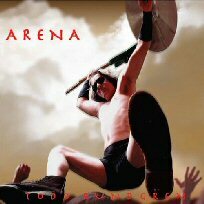 Todd was down beat in his commentary but kept the tempo up with songs from Arena that are guitar driven and rocking. The music was stripped down with dueling guitars dominating the sound with minimal effects. The rhythms were brash and bold powering brawny guitar licks. At times the keys got lost in the menacing mixes but Kasim was still a predominant and popular part of the show. Harmonies added to Todd's various vocal styles and the intense instrumentation was concise, adding to the assertive nature of the Arena material. During the Arena set Todd joked that he used to offer a double your money back offer to concert if fans if they didn't like a particular track from the new CD or they did not hear a song that they wanted to hear. Rachel Haden added punch and solid harmonies to the evening's set. "But I can't afford that anymore, I'm in the same boat as you guys," Todd said before adding, "that's it, I'll build an ark." Not unfamiliar territory for a man whose been called god for a long time. Rundgren is well respected for his solo career and production credits with such notable acts as Cheap Trick, Meat Loaf, New York Dolls and XTC. This multi-talented, multi-instrumentalist's music runs the gamut from his garage-psych band Nazz, through progressive Utopia to a number of pop successes including "Hello It's Me" and "Can We Still Be Friends". Perhaps not a spiritual leader, Todd did lead his own musical militia on October 9th with songs about fortitude. 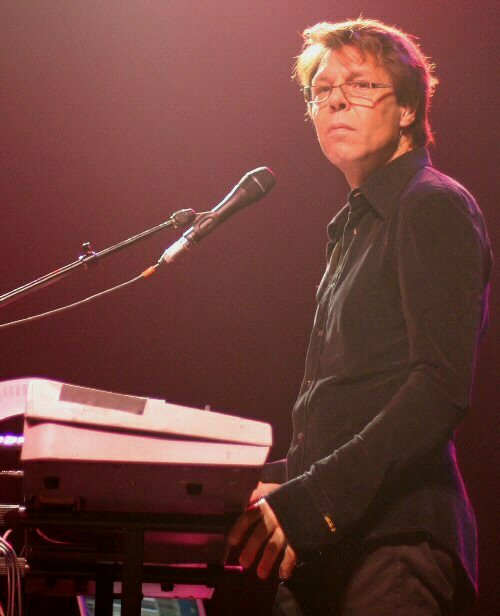 Kasim Sulton joined Todd for the Fall leg of the Arena Tour. 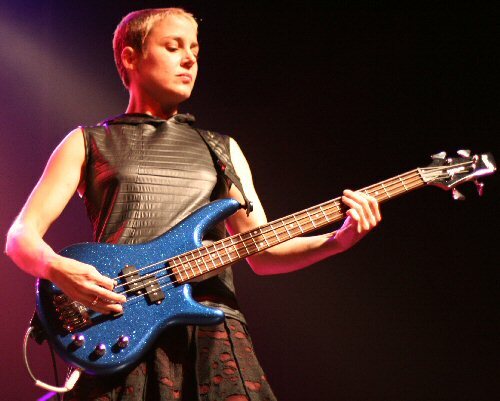 "Mad" and "Afraid" from the new record were prime examples of Todd's current message melding with aggressive reflections riddled with guitar rifts and raucous rhythms. The music is fist-pumping and anthemic, thus the title and tone of the record. On the surface the songs are fun but look a little further and there is a call to overcome fear and to persevere despite unfortunate times. Rundgren's musical revolution was victorious on this night. The new CD smoked from start to finish, the band received numerous standing ovations throughout the show, and the fans left praising Todd's ability to still rock with such force and passion. Rundgren was vigorous in his music, muse and movements. The band closed with "Just One Victory" and everyone - audience and band alike - left a winner. Opening for Todd was John Powhida. 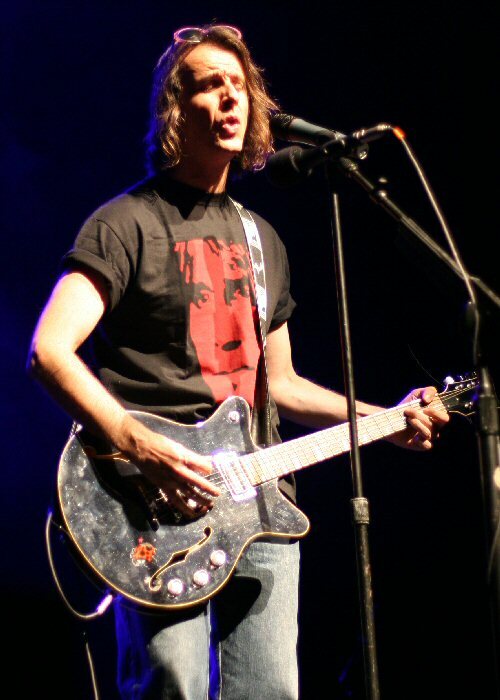 A Rundgren fan, John was sporting a Todd tee and mentioning he has seen Rundgren numerous times. 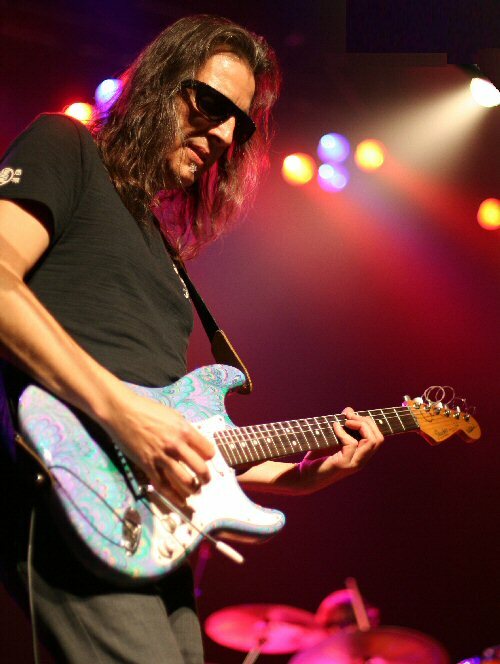 John had a unique style of playing an electric guitar in a simple, stark manner reminiscent of folk. Visual storytelling was part of his songs and he was engaging with his commentary and cheers for Todd. John who is from Boston mixed up vocal styles and ended his set with a song dedicated to fellow Utopians - the hopeful "Something Great". John Powhida played songs from his forthcoming digital EPs.